I’m normally not a big beach person, but with the incessant cold that winter brings, I’m dying to thaw out in the sun. How gorgeous is this water? 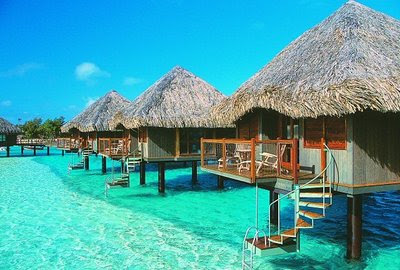 It would be so relaxing to stay in one of those adorable over-water huts. Ah, and to have a tropical cocktail in my hand...dreamy.